Here at Cody’s Appliance Repair, our goal is to help our customers and our community in any way we can. That’s why if you’re looking for a home repair service that we don’t provide, we’re happy to offer referrals to some of the area’s other top repair companies in their field. Whether you’re looking for dependable HVAC repair, plumbing, or even an expert electrician, we can point you in the right direction. Don’t trust your in-home service to a disreputable company or a fly-by-night handyman. Choose one of these top-rated local service companies, and rest assured that the job will get done the right way. 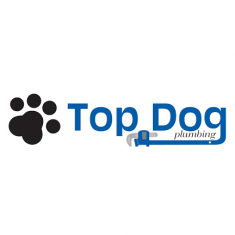 Plumbing problems come in all shapes and sizes, but our friends at Top Dog Plumbing have got your back! Their skill and experienced are unmatched, and they offer over 16 years of experience along with the best customer service and support in the greater Boise area. We’re more than confident that they’re your best choice for plumbing repair and services like drain cleaning, water heater service, fixture repair, backflow maintenance, and more. Take our word for it, these guys are the very best at what they do. Call the pros at Top Dog today at (208) 473-8389 for all of your home plumbing needs. HVAC problems can be a nightmare. Luckily, there’s a local HVAC repair expert that we give our stamp of approval to. 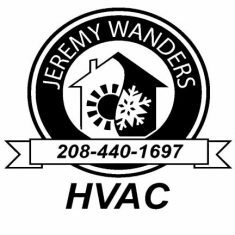 Since 1997, Jeremy Wanders has provided fast, affordable heating and cooling repair and maintenance services throughout the greater Boise area. He is licensed, bonded, and insured, and is a true expert when it comes to heating and air conditioning. Whether you’re dealing with weak airflow, a broken thermostat, or if your system won’t work at all, Jeremy can handle it. Give Jeremy Wanders a call now at (208) 440-1697 and get back to your comfort zone. Electrical work is not only difficult and time-consuming, but potentially dangerous if you don’t have the proper training. 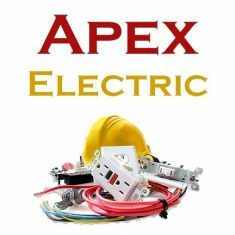 That’s why the licensed local professionals at Apex Electric are at the top of our referrals list for any electrical problems you may be experiencing. If you need help with electric repair, home additions, or new construction anywhere in the greater Boise region, they’re your best choice for service. So don’t live with broken light switches or a faulty circuit breaker, and book your appointment with Apex today. To schedule your electrician service, call (208) 453-1220 and leave the problem to the pros.